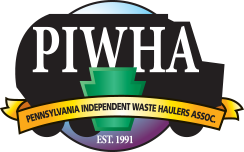 As one of the trusted trash and waste companies in the Bucks County, PA area, we have full-service capabilities and offer our waste containers the same day for your convenience. 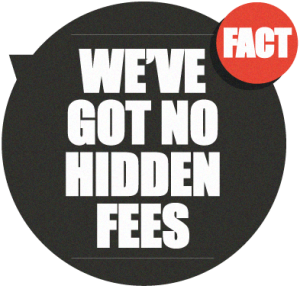 For both drop offs and removal, our efficient services doesn’t leave you waiting. 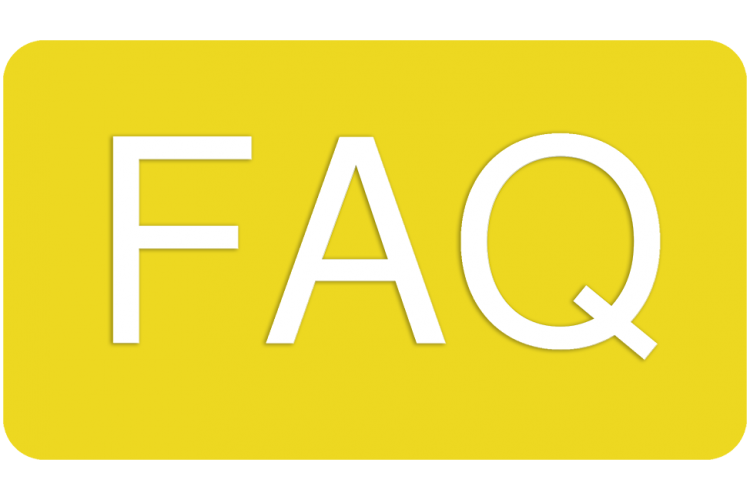 Our staff accommodates your needs to establish reliability and form lasting relationships. We offer comprehensive roll off dumpsters for industry-specific waste management, quality control & sustainability solutions for residents, contractors, businesses and corporations. Our partners use local fuel---everyday household and business waste--- to generate clean energy that gets transferred back into the power lines for your community to power over 700,000+ homes. 1 ton of waste converted into energy equals 1 ton of carbon dioxide avoided. At Trash Daddy, we offer both online support and Monday-through-Friday phone support for our customers, and we’re never anything less than happy to help you with whatever you need. Not convinced? Give us a call and we'll be happy to serve you. The earth has a friend in all of us. It's our responsibility to make sure waste is disposed of in an environmentally friendly way to minimize the impact on future generations. 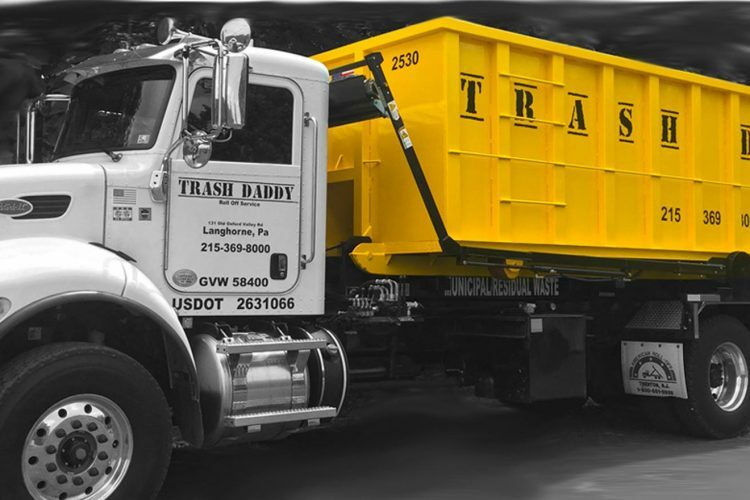 Trust in TrashDaddy to handle your trash and waste materials properly and effectively to protect the earth. Follow us around and see what the Trash Daddy is up to! We are now licensed in New Jersey! 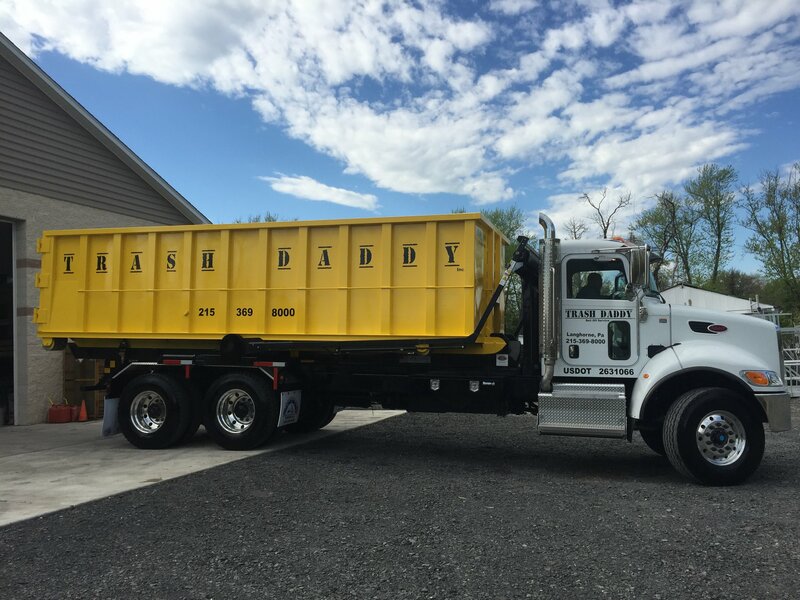 At Trash Daddy, we make dumpster rental in Bucks County simple and cost-effective so you can take advantage of our sustainable business practices. Just used them for the first time, they were great!!! They delivered the dumpster on time and took it back as soon as I called. Great company to do business with! I just wanted to give a huge shout out to Trash Daddy and its owners! Thanks to them, they have stepped up to help out the community by sponsoring my softball team. We will proudly wear their name and promote their business to as many people as we can. It's always great to work with people like these guys who like to support the community they are in. 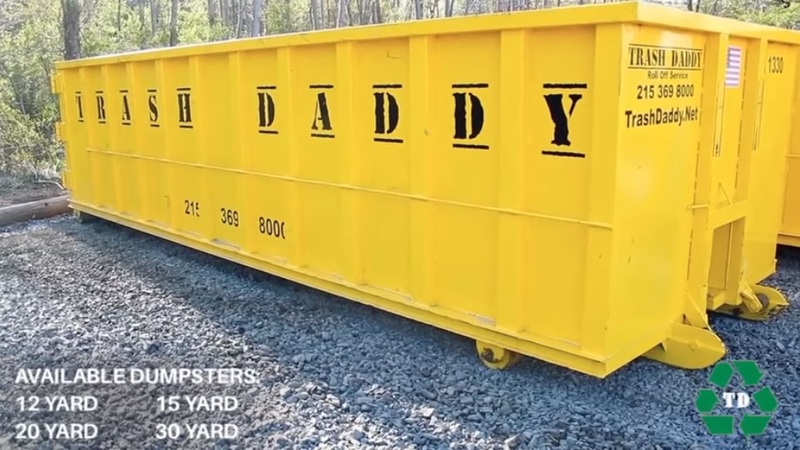 We are a restoration company, and we use Trash Daddy whenever we can. They are a pleasure to deal with. They work with your schedule and are extremely customer service oriented.